After being launched with force in 2013, the Beirut Creative Cluster (LCC) laid dormant for a long time. Apparently the differing visions, or incompatibility of minds when it came to the trajectory, or people wanting to "own" it, got resolved long way back but the whole thing fizzled due to lack of funding even if it was launched with a big catapult. The LCC did grow in numbers mind you, and even organized Lebanese pavilion in Dubai Games conference that gathered many creative gaming companies from lebanon. Which makes this comeback at ESA yesterday with a star-studded show a pleasure to be at and attend. All right, me being me, I will tell you that all the "usual suspects" (except Kevin Spacey now persona non grata - joke!) were there. And yes, this does include me. Sure, there were a lot of people in the audience who had no clue who I was and others who thought my presence added spice to things, but then again this is what a "niche" brand is. However let us not dwell on the author of this blog and say that truly, LCC brought the big cannons blazing. 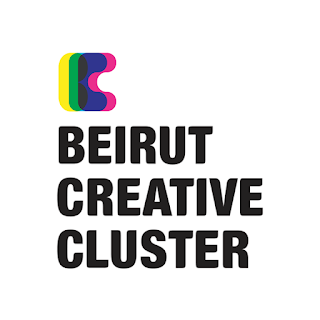 Anyone who is anyone in the creative scene in Lebanon - apart from big multinational agencies - was there. The audience was mainly millennials in search for answers as to how to fulfill their dreams, and the many old hands among the panelists and speakers gave from their time as much as they could - even if no experience can be replicated as each is based on a specific circumstances. I shall not name names, but it was truly pleasant that - for once - the ego got checked at the door. Since 2013, many people's careers have changed, mine included. But it was truly refreshing to meet old friends, recap on years past, speak of the market (and agreeing how frightfully dead it is! ), and have side-talks over coffee or lunch. My own panel was about the "rise of the hybrid agencies" if you want to know - and as usual - I tried to say out loud what others end up whispering. It might not sit well with a lot of people, but hey, my tens of thousands of readers a month apparently seem to like it. I was joined on stage by Walid Nasrala co-founder of WonderEight, by Firas Mghames CEO or Feer Mcqueen, and Joe Moarkech management consultant at Wider. Hats off to John Chehaibar the manager of the cluster for really choreographing everything, to WonderEight for rallying all the troops, for all the sponsors who invested in a show which could have been a small event but ended up grand, and also for everyone - speakers, panelists, etc - who gave from their studded time to make this happen. I am a strong believer in giving back to the community where one comes from (literally and figuratively), and you would be a bit surprised that most people are not in the hunt for money, but value more attention and guidance. If the side talks at this event proved anything, it is that indeed - most of the attendance came armed with ideas, hopes and a lot of energy. So kudos to that and hopefully the LCC has been resurrected from its slumber.